Nine has matched Seven with a new half-hour 7pm bulletin on GEM, to be hosted by Peter Overton (Mon – Thu) and Deborah Knight (Friday) throughout the election campaign. From tonight at 7.00pm, Nine News will broadcast a special half-hour news bulletin each night on its high definition GEM multi-channel to provide more comprehensive and detailed coverage of the federal election campaign. 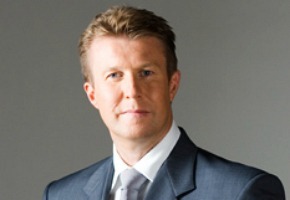 Nine’s Director of News and Current Affairs, Darren Wick, announced the new bulletin this evening, describing it as a natural evolution of Nine’s already pre-eminent news coverage. “In 2013 Nine is Australia’s news leader, so providing our viewers with another up-to-the-minute source of information on the election campaign is just an extension of what we do best,” he said. Mr Wick said the additional live bulletin – Nine News at 7pm on GEM – will be hosted by Peter Overton (Monday-Thursday) and Deborah Knight (Friday) and run nightly for the duration of the campaign. “It will allow us to give viewers a more in-depth look at the issues of the day, with a watchable and relevant mix of information through live crosses, daily panels with different commentators and stakeholders, and a really good wrap of the day’s developments. Assuming the Electronic Program Guide is accurate looks like things will stay the same for the regional market of Rockhampton where we get WIN . No change on 7 two either. Commercial TV news in HD. Go Nine! I already have enough stuff to watch at 7 each night. I think I see enough news as it is. … And to top it off, Peter Overton looks exactly the same as Mark Ferguson! @mistaken I definitely agree with you. Ten should definitely put a 6pm election bulletin into its lineup fronted by Sully. If successful the bulletin should continue post-election. Anything to get The Simpsons off the main channel! Come on Ten, join the part so we get Sandra Sully nationally. The days of the main news anchor being paid an over the top salary to arrive at work at 4pm, go into make up, record a few news updates, read the main bulliten and go home….are over. Good to see!!! GEM in Adelaide do not get this tonight because the Ashes will be starting at 7pm. There is no sign of it being played later in the EPG, but it shows it for tomorrow night at 7pm. If I really want to watch news I’ll watch ABCNews24 as I know that’s live. This is all just an overkill for me. David what does this mean for regional viewers who have ACA on at 7pm on Gem? Josh I reckon you will know before me. “providing our viewers with another up-to-the-minute source of information on the election campaign is just an extension of what we do best” – and in WA it will be up the minute news from 2 hours ago. Nine announced the bulletin earlier than Seven. Wow…that didn’t take long did it? “Nine has matched Seven”. David technically Nine started this. But I do realise Seven sent out their presser first. typo friday should be Thursday in the first paragraph.